A delicious, homemade dessert is an impressive way to end a fabulous meal. Achieving a bakery look at home is possible with minimal time and effort if you know what shortcuts to take, such as buying prepared frosting. Unlike homemade frosting, icing from a can has the perfect consistency every time, which is crucial in getting your top layers to stay nice and sturdy so they won't slide. 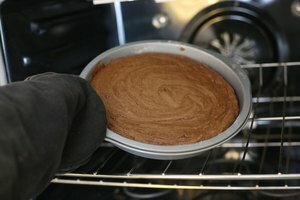 Allow the cakes to cool fully after they have been removed from the oven so that the icing doesn't melt. Place your hand on top of the cake for a few seconds to test for heat if you are unsure. Prepare cake surface by covering a piece of cardboard, plastic container cover or other flat, clean surface with a piece of aluminum foil. Alternatively, wash and dry the surface. 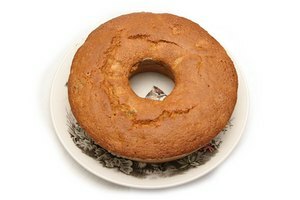 Remove the first cake from its pan by loosening the edges with a knife and then quickly flipping it on to a plate so that it is upside down. Then, flip the cake on to the flat surface that you have prepared so it is right-side up. Place the long knife at the edge of the cake running vertically so that the length of the knife runs the entire length of the cake. Cut a thin layer off the top of the cake to even the surface. 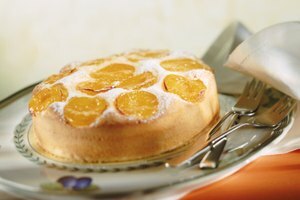 Because cakes tend to rise slightly higher in the middle during baking, they create a bubble-like bump in the middle that will cause the top layer to wobble unless the surface is evened out. Spread a layer of frosting evenly across the top of the cake. Remove second cake from pan in the same way that you removed the first. Carefully line up the edge of the plate with the bottom layer of cake and flip the second layer on top. Adjust accordingly. Repeat the evening and frosting process if you have more than two layers. 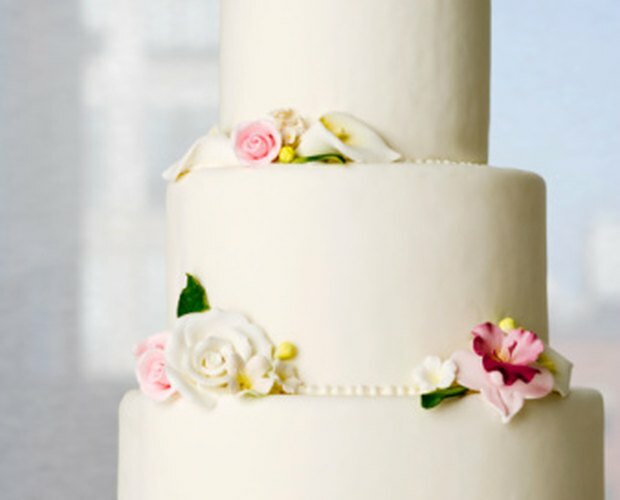 Once you have placed your layers on top of one another, try not to move the cake or the surface that it is sitting on. Frequent handling can cause the layers to shift, which will make them slide, break or fall apart.